Susan Heim on Writing: #RockYourBlog August Writing Prompts: Which "Friends" Character Are You Like? #RockYourBlog August Writing Prompts: Which "Friends" Character Are You Like? The topic for today, August 3, is: Which Friends character are you most like? This is a really tough one! I’m not into fashion like Rachel, or a chef and neat freak like Monica, or ditsy like Phoebe. 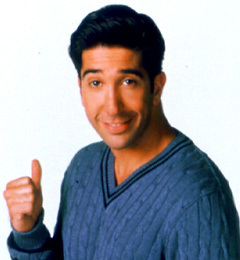 Personality-wise, I’m probably most like Ross, a scholarly type person who’s a bit socially awkward.